Good copywriting goes hand in glove with good graphic design for effective visual communication. The best creative and communication outcomes are usually from the projects that recognise the relationship, of words and image, the earliest – and begin in partnership. 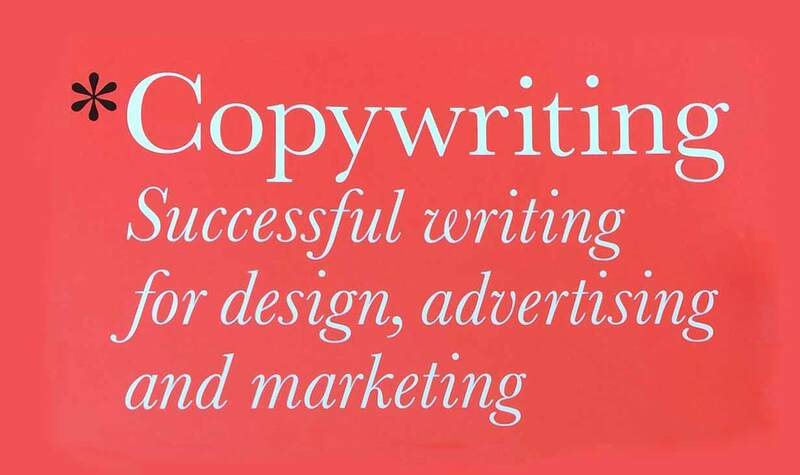 Mark Shaw puts the reader in the shoes of a copy writer, and clients that require copy writing, to make the case to why all organisations with communication or sales objectives need to value the craft that is effective copy writing. As with all forms of success: preparation is key. The case is made for clear planning and detailed writing within any project and this should be carried through until the print or publication date. It’s not something space is left on the page for, and filled in at the end. Time is required for: key research, writing phases, crafting of key messages, design of a narrative, time to discover the organisation’s voice, a refining process to hone the words and finally time to get that all important sign off with the usual final edits. These steps don’t happen quickly but must happen to give: branding, advertising, marketing, company materials, newsletters, catalogues and websites their best opportunity of achieving what they’re designed to accomplish. The majority of the book uses these listed commercial sectors to exemplify how copy writing plays a different role for the reader. This is underlined by Mark’s experience plus focused case studies and informative interviews. I’ll provide a flavour of how your own copy writing should accommodate these different requirements, while hopefully making the case for why your organisation, if it has’t already, needs to embrace the value of goods words. Branding and Marketing has a purpose to establish a tone of voice or personality for the organisation. This voice is used to shape the messaging of what the organisation will and won’t say and the selected vocabulary it will and won’t use. Identity and personality are related to the images and overall brand visuals; however it’s when the customer starts to read that the written materials must do their job of: relaying why this organisation is different, how they are different and why the reader should even care. A word pool and tone of vice guide is recommended and should be considered as important as the logo and branding guide. Advertising and Direct Marketing require a great degree of sophistication these days, as markets are tougher than ever, from sorting, filtering, ignoring and increasing demands for their precious time. There’s not a lot of time to “sell” them and they don’t really want to be sold. Copy writing has to be tailored and present a specific message to the target market – white washing and being all things to all men just won’t work. Ambient marketing is different from direct marketing so getting the pitch of the copy right is critical and will take research / trial and error. Yet the goal is to break into their day and generate immediate action from having read the materials. Retail and Products should make the products or services easy to find and buy. Customers are usually looking for something if they’re in the store; so use copy writing to: keep them on your side, aware of promotions, sell the benefits, create a sense of place, deploy your tone of voice and direct messages. Retail environments need copy and design to do a lot of things and in a certain order in specific locations. This isn’t an easy thing to get right but all retail environments have to be researching and advancing to improve how customers engage and understand what they offer. Magazines, Newsletters and Internal Communications have a lot of content which is aligned to brand or style but must be informative first and foremost. These documents should be written to start and further a relationship by aligning to the reader, providing material they find interesting and worth their time. Planning and more planning make for a great final document but so does editing and refining. Catalogues and Brochures are even more aligned to the brand than newsletters and magazines as they sell products and services – sometimes right off the page. Their copy is complex and written for the big picture of the organisations brand. Yet they must relay the benefits, define the objective and relate to the reader. These materials really benefit from the writer design partnership – the early the better. And don’t forget to include a photographer and illustrator for maximum results. Digital Environments The web, social media, smart phones and the rise of e-commerce have seen reading from a screen explode in the last ten years and is only set to grow and grow. This dynamic media is very different from print as people scan far more and move about in a more random way. The reader is only a click away from leaving, so the copy should keep their attention and express more personality – even invite their own content. The web is the wild west for copy writing and now is an exciting time as anything goes within this fluid media which isn’t fixed like print and not seen within a set dimension either. Investing in a copy writer to craft the words of a website is a sound investment that can carry on into ongoing news and social requirements. 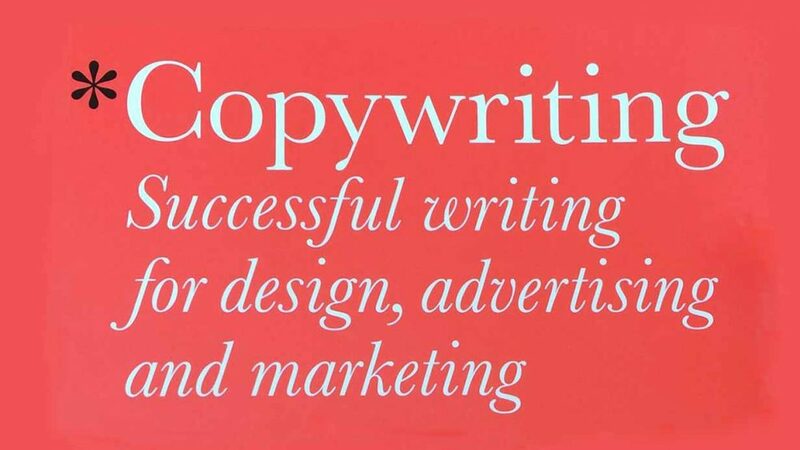 The book does a lot and covers the core of commercial applications of what copy writers are typically employed to do, which is relay information or help sell things. Although it’s clear that this is an endeavour that deserves to be done right and on a continuing basis. My take away from this book, as a designer, is to continue to value words and their synergistic power with image and colour.